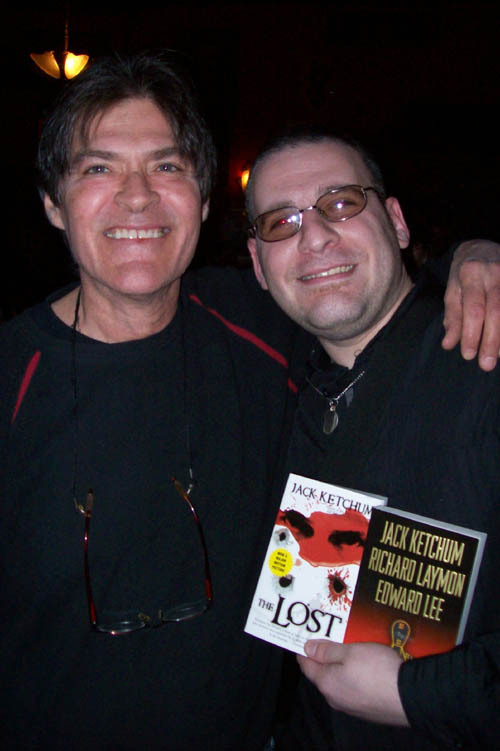 On April 16th 2008, I took the day off and headed into the city — the Village, to be exact — to see horror masters Jack Ketchum and P.D. Cacek perform live readings of their works. 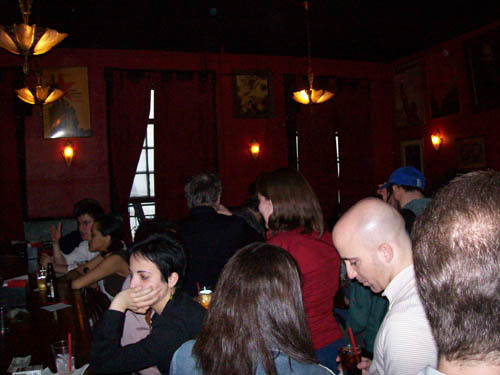 KGB Bar is a pretty renowned institution when it comes to live performances by writers and poets. It has that dimlighted, hip, semi-beatnik kind of style, crossed with the feel of an old man’s bar. It’s small but stylish, too, reminiscent of socialist artist hangouts. It’s located at 85 East 4th Street, just off of 2nd Avenue, second floor. It wasn’t overcrowded or anything like that. I got there around six, left at nine. Some of the pictures were taken by me, and others such as Gordon Linzner and Linda Addison, (Bram Stoker winner of: ‘Being Full Of Light, Insubstantial’). 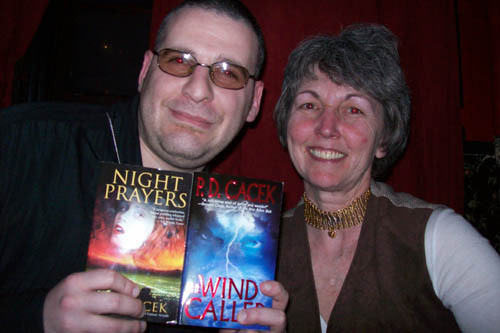 I congratulated Linda on winning the 2007 Bram Stoker Award. Also up in the mix was Gerard Houarner, a prolific author in his own right; he edits Space & Time Magazine and writes a monthly blog column for Storyteller’s Unplugged. 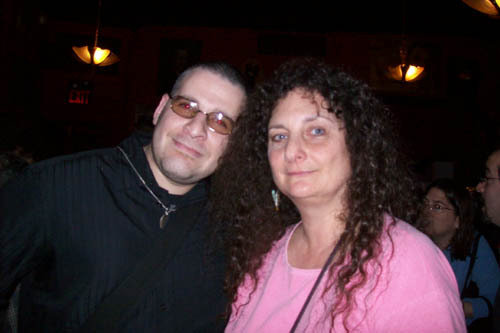 Matthew Kressel, of Sybil’s Garage, co-hosted the event with Ellen Datlow. And just by chance, I happened to be seated at the end of the bar with science fiction author, Mercurio Rivera, who has a story in Interzone #214. A wonderful and memorable night indeed. I got to meet three icons. I stocked up on reading material for me and my son; Jack Ketchum and P.D. Cacek were nice enough to autograph it to him for when he’s old enough to read horror. I also noticed something else. These people were not only pleasant, but they were down-to-earth. And I realize now that’s what writing is about. It’s not always about how much money you make, who is better than this one, I’m going to be famous overnight. It’s about being nice and appreciating the artform. Being a writer is about being down to earth. It’s about being human. It’s about being yourself.